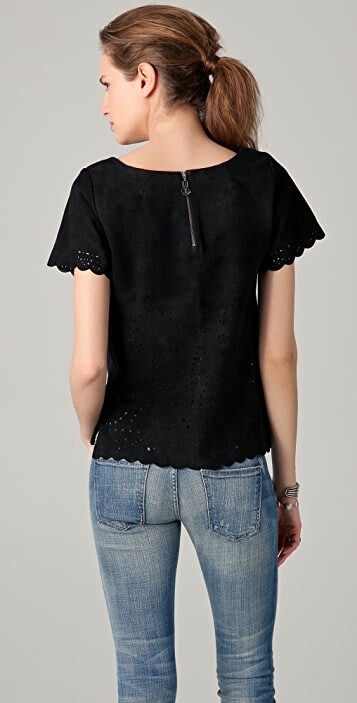 This scoop-neck suede tee features laser-cut detailing and an exposed back zip. 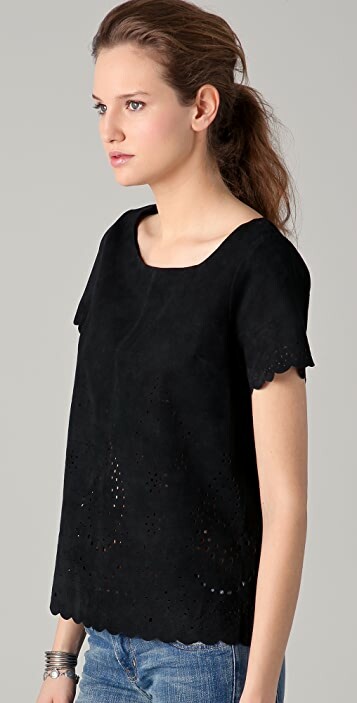 Scalloped edges at hem and cuffs. Short sleeves. 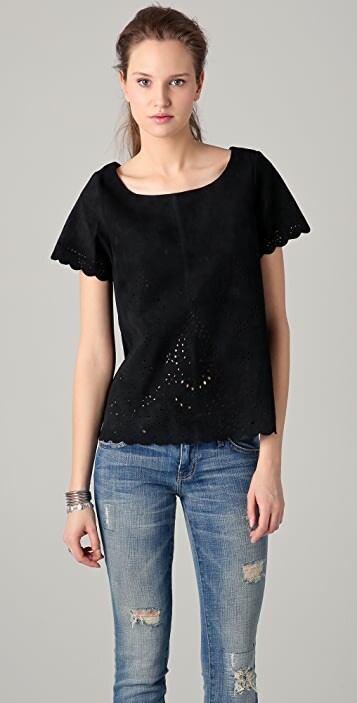 I am 110 and 5,'1, 32C and 34, 25, 36, this fits very nicely all around, not too loose but just loose enough to look appropriate for a shirt with holes in it. It looks edgy due to the fabric but is still versatile. It is warm, so i wont be wearing it in the summer. Quality and construction is superb and well worth the sale price. Great item, very soft and comfy, but its kind of straight, so it was a bit snug under my waist. Was very sad to return.